Traveling the world allows multi generational families to connect in fun and exciting ways that aren’t possible at home. Each of these journeys are filled with enriching activities, child-friendly accommodations and plenty of memorable experiences for the whole family. No planning is required on these hassle-free vacations that are specifically designed with families in mind. Tauck Bridges family travel adventures are all about shared enrichment and inclusive value with meticulously planned and seamlessly orchestrated vacations. With Tauck Bridges you actually live the stories of the Old West, African Safari's, Costa Rican farmers, Egyptologists or even an Italian pizza maker. Trafalgar Family Experience are exactly that: designed for families. So you get vacations that are not only fun and enriching, but eye-opening and educational. For all. Create family tales and memories to share and laugh over, for generations to come. Watch your children broaden their horizons, as they develop a sense of wonder at the big wide world. 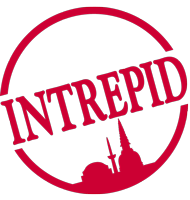 Intrepid has developed a better style of family travel, one that favours real life experiences over the virtual ones. Start with kid-friendly hotels, and then sprinkle in a tuk-tuk ride through the streets of Bangkok, a football match with Maasai tribesmen or sailing down the Nile in an Egyptian felucca. Family vacations are the perfect time to connect and CIE Tours’ exclusive Family Vacation Collection offers unique experiences that every member of your family will treasure for a lifetime. Uniworld’s Generations river cruises are perfect for families, with special excursions, onboard activities and amenities designed to keep kids and grown-ups of all ages entertained and engaged. What’s truly special about these family-friendly sailings is how much thought Uniworld has put into making river cruising accessible and fun for the entire family. Kids can go on a VIP tour of the ship with the captain, or participate in a dessert-making class with the pastry chef. While the adults attend wine tastings, kids sample local soft drinks with Uniworld’s own onboard “Soda Sommelier”. Uniworld offers a wide range of excursions and activities, some for children and others for older kids. ART LOVERS: Hands-on activities to inspire creativity. CURIOUS MINDS: Excursions that cultivate a greater sense of curiosity. LET'S GO: Exhilarating outdoor pursuits. THRILL SEEKERS: Exciting adventures for junior adrenaline junkies. ASPIRING FOODIES: Tasty activities for adventurous eaters. MYSTERIOUS STUFF: Excursions for those who love intriguing tales with a historical twist. Call 1-800-814-8381 to speak with your AffordableTours.com river cruise consultant to book your Uniworld Cruise today! Join Royal Caribbean International on an adventure the whole family will enjoy. Set sail on one of the most innovative ships on the high seas and enjoy fine dining, spacious accommodations, Broadway-style entertainment, our award-winning Adventure Ocean youth program and the all-new DreamWorks Experience. And the best part? It's all included. Games, events and activities are going on all over the ship throughout the day and into the evening hours, making family time a great time. And thanks to our award-winning Adventure Ocean youth program and the all-new DreamWorks Experience, children love their Royal Caribbean cruise vacation just as much as their parents. Call 1-800-814-8381 to speak with your AffordableTours.com cruise consultant to book your Royal Caribbean Cruise today! When you're looking for a family vacation, you want to have the option to participate in activities and events that everyone can enjoy together. With Nickelodeon, exclusively on Norwegian Cruise Line, there are activities for the whole family to enjoy together. And now you can experience Nickelodeon aboard three Freestyle Cruising ships. Find Nickelodeon exclusively on Norwegian Epic, Norwegian Gem and Norwegian Jewel! So whether it's The Caribbean during Spring Break or the Holidays, or Alaska or Europe in the summer, your family will be able to enjoy Nickelodeon aboard Norwegian. It's the ideal vacation where parents relax, kids play and families connect. Call 1-800-814-8381 to speak with your AffordableTours.com cruise consultant to book your NCL Cruise today! Deck Parties: Celebrate your dream Disney vacation with your family alongside some favorite Disney Characters, and enjoy the only fireworks display at sea. Live Shows: Enjoy original Broadway-caliber musicals or relive some of Disney's greatest movie moments live onstage. Character Greetings: Meet and greet your favorite Disney Characters at autograph sessions, appearances at deck parties and kids clubs, and surprise encounters throughout your cruise. Dance parties, games like bingo and trivia challenges, and walking tours are among other family activities. Call 1-800-814-8381 to speak with your AffordableTours.com cruise consultant to book your Disney Cruise today! Youth and Teens Passengers ages 3 to 17 will enjoy many exciting onboard activities. Princess' Youth Centers and Teen Lounges are staffed by experienced counselors, who are ready to ensure the youngest cruisers stay happy all day long. There’s everything from art projects, game tables, the latest movies, pizza parties, talent shows, video games, and much more. All vessels, with the exception of the Ocean and Pacific Princess, have dedicated Youth Centers and Teen Lounges. These two vessels offer youth programs when 20 or more children, ages 3-17, are traveling on a given voyage. Children under the age of 3 are welcome to visit the Youth Center, if accompanied and supervised by a parent at all times. Call 1-800-814-8381 to speak with your AffordableTours.com cruise consultant to book your Princess Cruise today! Celebrity's award-winning cruise experience is designed for all ages and interests. Most programs are geared to specific age groups and supervised by experienced youth staff members. Celebrity's V.I.P Pass is a unique opportunity for your child to have unlimited access to all program activities. The one time V.I.P Pass fee offers families over a 40% savings off the cost of individual Lunch, Dinner, and Slumber parties. In addition, V.I.P Pass holders are the only children who will be given an exclusive Fun Factory goodies bag and have access to exclusive Fun Factory experiences like a behind-the-scenes ship tour. An additional charge applies to purchasing a V.I.P. Party Pass. Children's products and services are not available on Celebrity Xpedition®. Call 1-800-814-8381 to speak with your AffordableTours.com cruise consultant to book your Celebrity Cruise today! Kids Sail Free on MSC Cruises....Always! At MSC Cruises Kids 11 and younger sail FREE* and Kids 12-17 sail at a reduced rate on Every MSC Cruises sailing! From the infinite charms of the Caribbean to the awe-inspiring wonders of Europe, your children can enjoy it all con i nostri complimenti – with our compliments. Complimentary Kids Clubs! Call 1-800-814-8381 to speak with your AffordableTours.com cruise consultant to book your MSC Cruise today! Hey, it's not every day you take the gang on vacation. So it has to be super-fun. Not just for you, not just for the kids, but for everyone. Right? What's more, it needs to be a great value too. You need a family vacation with all sorts of stuff included in the price - from dining and accommodations to entertainment. Camp Carnival ages 2-11, Circle "C" ages 12-14 and Club O2 for teens 15-17. You've played Connect 4 and Yahtzee, but have you ever played giant versions of them onstage in a competition that puts your gaming skills to the test? You'll have your chance when you take part in Hasbro, The Game Show. From SORRY! SLIDERS to YAHTZEE BOWLING, CONNECT 4 BASKETBALL, OPERATION SAM DUNK and SIMON FLASH, you can team up with your friends and family to win great prizes, all in front of a live audience. Be sure to check your daily on board itinerary for show times so you don't miss out on the action... or the prizes. Call 1-800-814-8381 to speak with your AffordableTours.com cruise consultant to book your Carnival Cruise today!